Transition Findon | Building community, creativity and can-do-ability in challenging times. Building community, creativity and can-do-ability in challenging times. There are two ways I like to spend my Sundays. One is going for a walk; the other is a bit of gardening. The fact that it was raining yesterday just added to the challenge as I began the first installment of the Findon Spring Clean . . .
My motivation has been from a few different places. 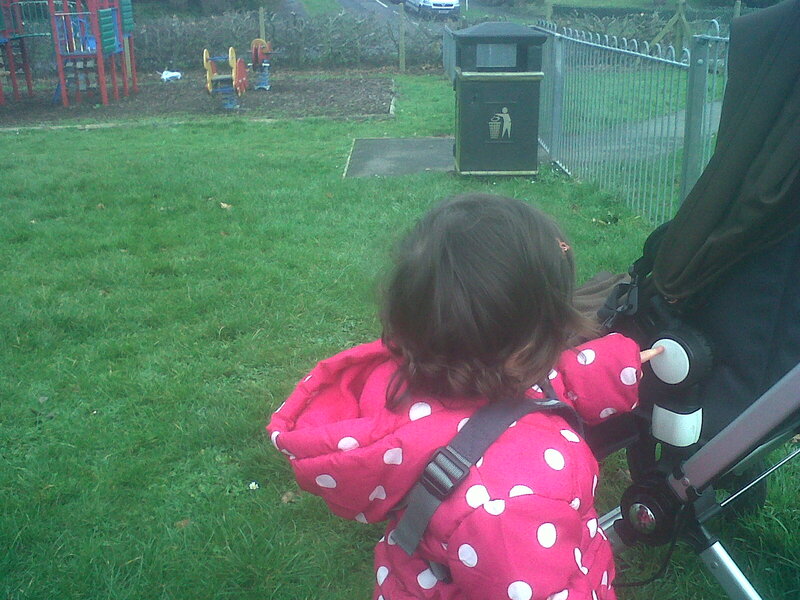 Firstly, was a walk I took a couple of weeks ago with my eighteen month old daughter around the village. She is at the age when everything is interesting, especially if it stands out against a background of tarmac or foliage. Like empty drinks cans, bottles and wrappers. Explaining that people had dropped these items made me think that I didn’t want her to accept this as normal. Secondly, I consider Findon a pretty special place to live. I’m not happy to see it covered in rubbish. I subcribe to Common Ground’s excellent Rules for Local Distinctiveness. Thirdly, being a big fan of Bill Bryson, and work of the Campaign to Protect Rural England, I feel that too many places are spoilt by litter and it is at the community level that we need to act on it. 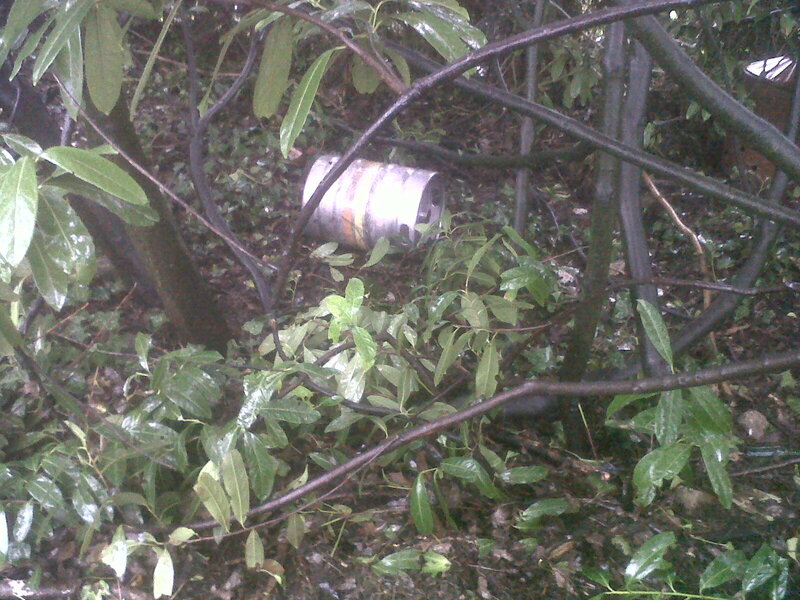 Walking near the Findon Village Hall and Pre-School, it looked like fly-tipping has occurred alongside regular litter. Things like this beer keg were clearly visible, but I also came across a broken computer monitor, heavy-duty cabling, wire, and so on. Not good. Transition Findon will continue to act, hopefully in conjunction with an existing local organisation, to address the litter problem. 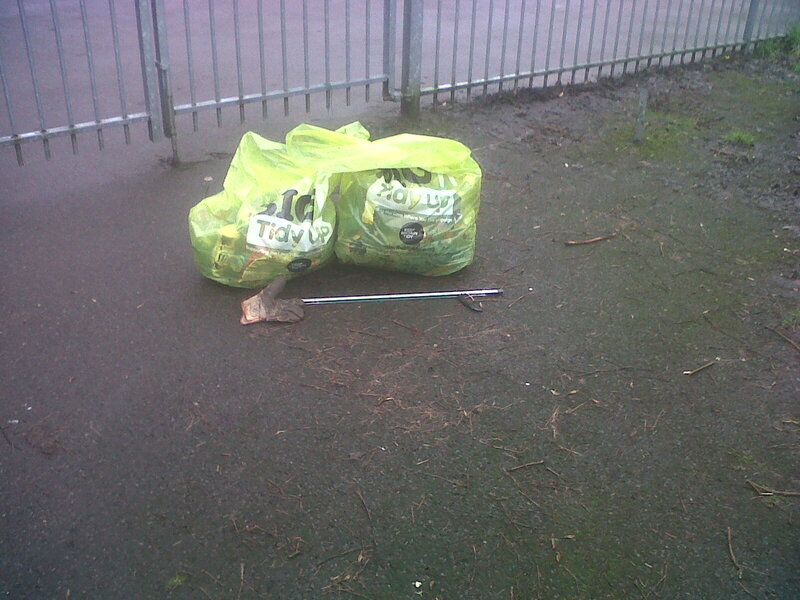 March and April will see the Findon Spring Clean continue. Part 2 coming up . . . There is a weird epidemic spreading through the land. The first symptom is selective blindness. The second is the urge to chuck a piece of plastic, glass or tin at the nearest attractive patch of grass. The third is to shrug the shoulders. Jeremy Paxman, writing in the Daily Mail, 28th June 2011. Walking around Findon in recent weeks has been an eye-opener. I have been taking a much closer (and lower) look at things as my 18 month old daughter has started wanting to walk everywhere. This has meant I have been looking down a lot and looking at what is within her grasp. The result has showed me that Findon is becoming a mess. The worrying thing is, we’re not just talking about the sides of the A24. This does get litter jettisoned from moving vehicles (why? ), but other village locations as well. 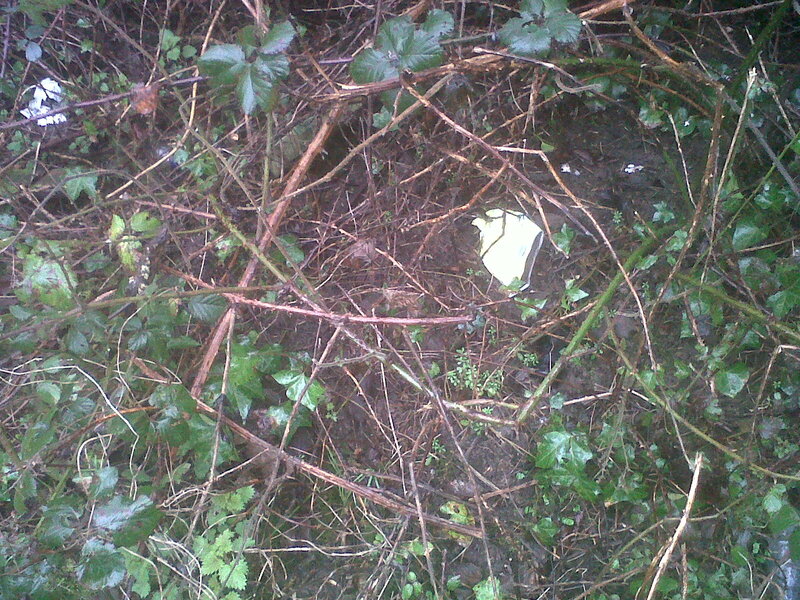 A walk before Christmas up to the church revealed a whole mass of fast food containers dumped on the grass verge. The playground on Horsham Road had a whole sack full of wrappers, bottles, disgarded carrier bags, and even an old towel dumped in amongst the hedge and on the edge of the children’s play area. There was even a huge dog poo just outside the gate to the playground. All very depressing. And all very avoidable! 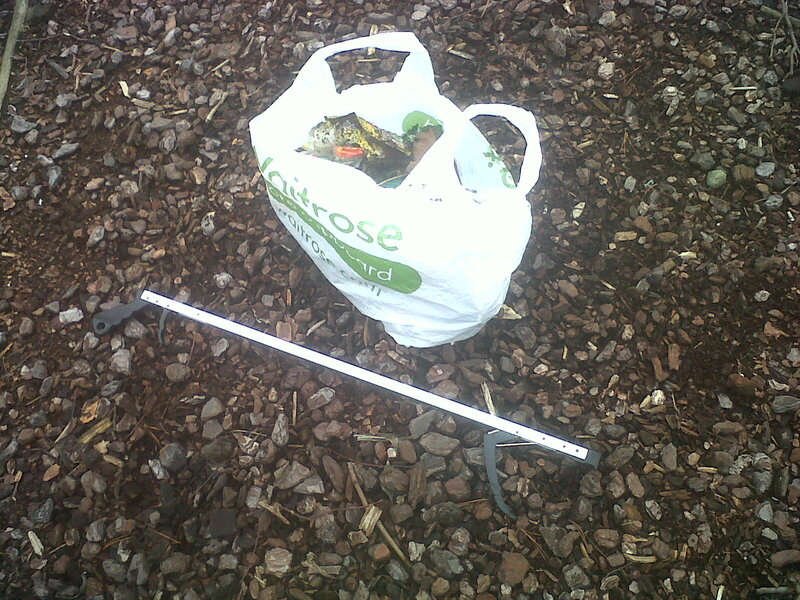 Ten minutes of work with a bit of ‘elbow grease’ and a litter picking stick! Well, I spent a few minutes clearing up the playground of its rubbish, but once you start looking, you see litter everywhere. Footpaths, hedges, gutters. The plan? KFB (Keep Findon Beautiful). A once-a-month stroll through the village with a bin bag, a litter picker and a keen eye. We at Transition Findon have signed up for The Big Tidy Up. We’ll be getting some sacks and some tabards and getting on with it ourselves on Sunday 10th February, 10.00am, outside the Village Hall. Autumn Apple Action at Angmering! 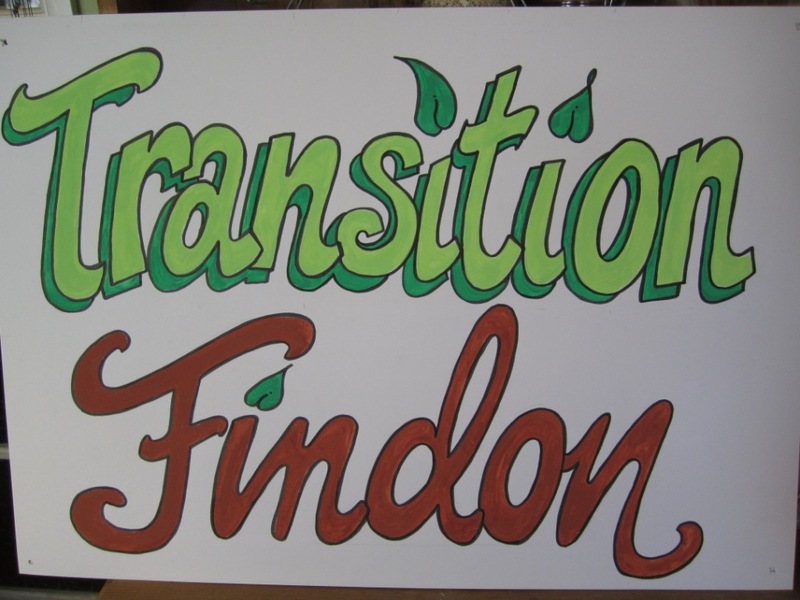 What have Transition Findon been up to recently? Well, we’ve been supporting our friends over in nearby Angmering with their Apple Day. This is very exciting because Angmering are trying to set up a CSA (or Community Supported Agriculture scheme). Part of the launch of this was the Apple Day on 20th October. 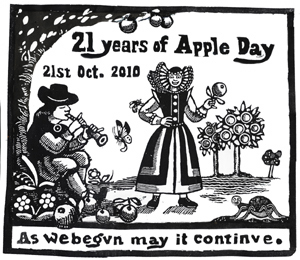 Apple Day – a way of celebrating all things ‘apple’ has been championed by Common Ground in the UK since the 1990s. They have a wonderful website and campaign for local distinctiveness. Start a local tradition . . .
Could something like this happen closer to Findon? Would a community orchard enhance our village? Planting more trees seems even more urgent than before in these times of Ash dieback. Why not make it productive fruit trees? What do you think? 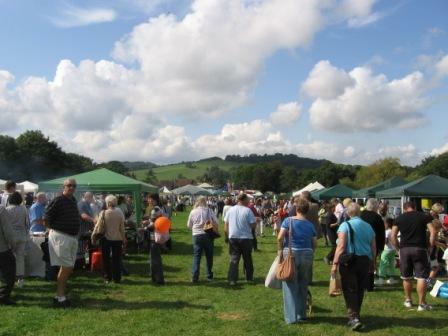 Blue skies, and the sort of temperatures that we would have thanked July for, embraced this year’s Findon Sheep Fair. Well, that was a good omen for the public launch of Transition Findon (TF) on a largely unsuspecting local population. One or two people were aware that TF was going to be there, and it was great to finally meet people face to face after a couple of months of purely virtual engagement! We shared the stall with our good friends from Transition Town Worthing. Thankfully we were near the coffee stall and had a small marquee. We had a great view of the vintage tractors, the horses, and a giant inflatable chef which was advertising the hog-roast . . . The Transition stall comes to the Sheep Fair! Anyway, here’s a little video documenting the Sheep Fair as seen through the lens of the Transition Findon camcorder: sunny, lively, and slightly eccentric, but always 100% Findon! Tomorrow is Findon Sheep Fair. 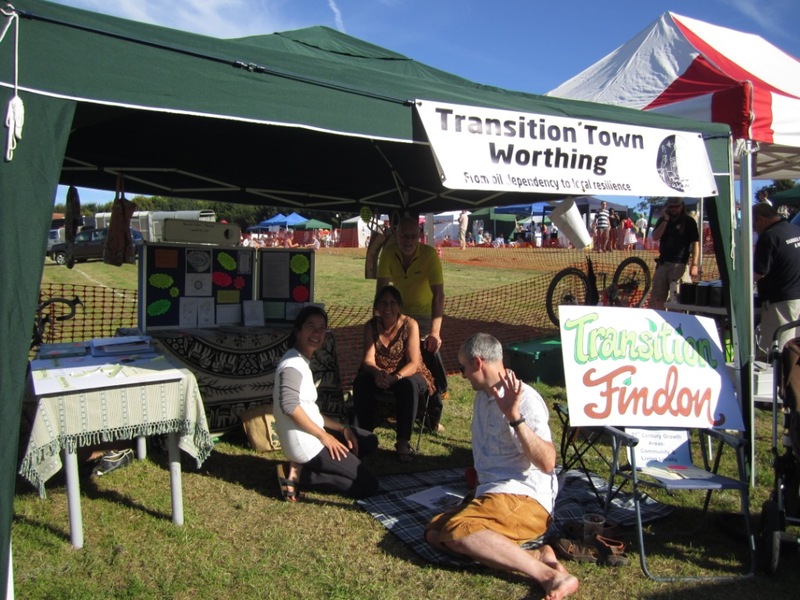 Transition Findon will be sharing a stall with Transition Town Worthing, and it will mark the first public outing for us. 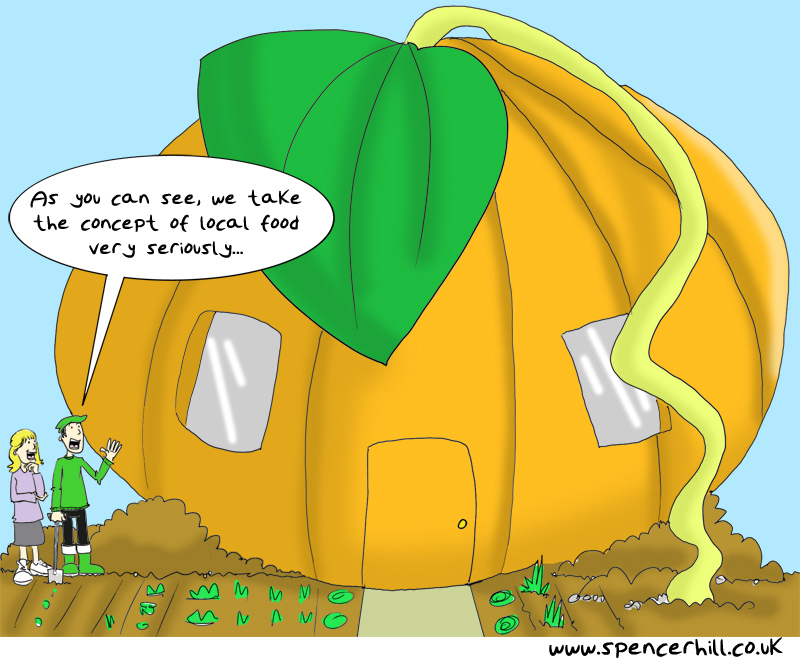 I’ll be asking for some support in establishing a community food-growing garden, informing people that Transition has begun in the village, and if there’s the enthusiasm for it, a short video on the Sheep Fair and ideas about the Findon of the future. Revving it up for the sheep! I’ve been thinking about what might go down well for Transition Findon’s first public airing at the Findon Sheep Fair on Saturday 8th September. 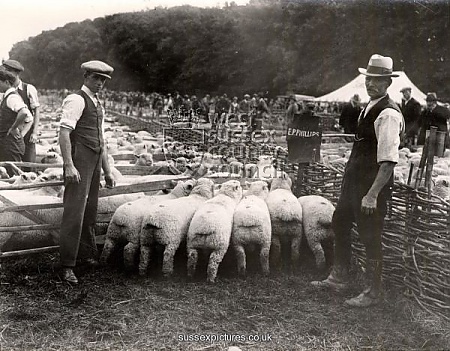 Findon Sheep Fair in 1931. Note the large numbers of sheep (mostly absent now)! A quick search on the Internet about the Sheep Fair brings up some amazing and frankly, fascinating images and information about it. For instance, an annual Fair was first held in 1261, whilst the Sheep Fair began around 1785 and was one of the key agricultural events in Sussex and the South Downs, with sales of highly desirable animals (such as lambs) and opportunities for some rustic high jinks by all and sundry. The local sheep: Southdown. Now found all over the world. Even in the 1960s, the Sheep Fair was doing reasonable business, but since the late 60s to the present, most of the sheep have vanished, apart from a few prize specimens in a mini enclosure and an entertaining sideshow, run as an attraction for children more than anything else. The present Sheep Fair is great fun and the community event for the village, but the changes over the past 30 – 40 years indicate some wider shifts in farming, the economy, and the rural landscape. My thoughts are to link into some of these Tales of Sheep Fairs Past, but consider how it might change again as we move into the next few decades of the 21st century: Tales of Sheep Fairs Future. One of the main ideas behind Transition is resilience: the ability to respond to and recover from some kind of external shock. It is sometimes better described as ‘bouncebackability’! Well, how resilient is Findon at present? Does this shift away from the traditional landuse of the South Downs in recent decades mean that we now have more or less bouncebackability? How might some of the most critical challenges of the present (such as peak oil and climate change) impact on Findon? How can we respond to these challenges? Transition isn’t about turning the clock back and wishing we had the same as they had in 1785. It is about thinking of how we can thrive in a future that looks very different to both now and in the past. 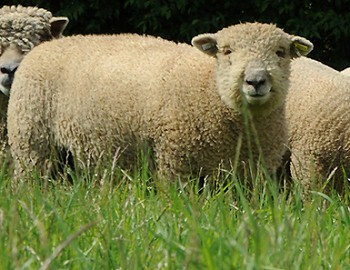 What might the Sheep Fair be like in 2032? Or 2050? So, I’m still thinking about this . . .
PS Transition Findon now has a Facebook group. So, things have been a little quiet since my previous post . . .
Work has been hectic and I also have a project I’m working on (all will be revealed in due course). 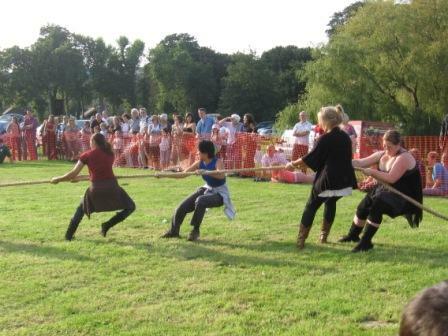 However, the first unleashing of Transition Findon to a largely unsuspecting public will occur at this year’s Findon Sheep Fair on Saturday 8th September. I’ll be sharing a stall with my friends from Transition Town Worthing, whilst soaking up the atmos and chatting to neighbours about bringing the Transition to Findon. Fingers crossed for the bloomin’ weather then. As the Sheep Fair website states, the Fair has been an annual happening since 1261, so it’s not something Transition Findon wants to miss. I usually bump into most of my neighbours (especially around the real ale tent), so it’s a great opportunity to raise the TF banner. Also as there will be rural crafts, real sheep and Punch & Judy on the go, how could I miss it? I’m hoping to start making some inroads to finding some space to set up a community food garden or community allotment (see previous post & video), so if you’re reading this and have any ideas, please contact me. Finally, as the London 2012 Olympics are now in full swing, I just wanted to say congrats to local Findon silver medallist Tina Cook from Team GB yesterday! What is being discussed on Transition Findon?